Should President Trump impose a 25% tariff on auto imports, it could cost U.S. auto industry as much as two million in vehicle sales, according to LMC Automotive. President Trump claims his proposed tariffs will help Americans, but one potential tariff could cost automakers -- bigly. The president is reportedly considering a 25% tariff on imported vehicles, but that effort could result in the loss of as much as two million vehicle sales for the U.S. auto industry, Jeff Schuster, senior vice president of forecasting at LMC Automotive, told TheStreet in a phone interview. The auto industry researcher assumes that the tariff would be in place for a duration longer than a year and a majority of the tariff would be passed to consumers, leading to a loss of about 1 million annual vehicle sales. Should companies decide to pass on the entire 25% tariff to consumers, it could lead to a decline of about 2 million vehicle sales, or more than 10% of annual U.S. deliveries, Schuster said. The probability of tariffs increased after a contentious meeting among the G-7 countries last weekend, Schuster said, but he's still under the assumption that cooler heads will prevail. "[President Trump] tends to make very strong, bold statements and the action in most cases tends to be slightly different," Schuster said. "This element of creating chaos and cleaning it up after seems to be the M.O. of this administration. To be fair, he did put steel and aluminum tariffs on countries, such as Canada, that had been previously exempt." President Trump last month ordered a national security investigation into car and trucks imports under Section 232 of the Trade Expansion Act, the same pretext he used to impose tariffs on non-American steel and aluminum earlier this year. 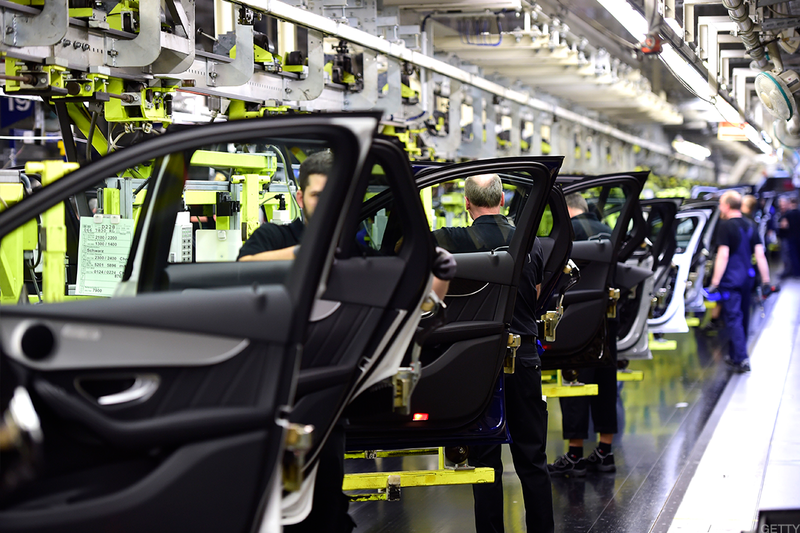 "The implementation of these tariffs would be a major blow to the entire automotive industry," Jeremy Acevedo, manager of industry analysis at Edmunds, a Santa Monica, California-based data provider that focuses on the auto industry, said after the investigation was disclosed. "If foreign manufacturers pass the 25% import tax on to car buyers, then those who manufacture vehicles here can in theory charge that much more for their vehicles and still be price competitive," he said. Even domestic automakers could suffer from the potential tariff. "With the exception of Telsa (TSLA - Get Report) , which only builds in the U.S., it affects everyone else [that has manufacturer plants abroad]," Schuster said. If the auto import tariff is imposed, consumers could opt for used vehicles, some domestically-produced vehicles or even delay purchasing a new car. "Either way, this could represent a lose-lose situation for automakers and consumers alike," Acevedo said in late May.